Eagles, eagles, and more eagles. Last week I spotted about 30 eagles in one day. They were hanging out along the river: fishing, perched in trees, flying high over head and just doing what eagles do on a sunny winter day. In the summer of 2007, I saw a bald eagle for the first time in Green Bay. That doesn’t mean they weren’t here before, just that I hadn’t seen one. And, because I hadn’t seen one, they felt elusive. In life, there are many things that feel elusive, from ways we desire to experience life, to see ourselves, to feel, and so much more. Can you think of any right now? I bet you can . . .
Maybe it’s a desire to feel passion within your relationship or to discover your creative voice. Perhaps you crave a sense of joy or freedom in life or work. Maybe you want to find the courage to bring your vision and dreams to life or your longing to feel success in your work. How about your body or your health? Is there an aspect you feel like you just cannot grasp? Or what about money? Does that feel elusive? Yep, I just threw money in there. And guess what, we’re going to chat money today. Ok, I know, this is a bit different for me and let me be straight, it feels a bit edgy for me to dive into this taboo topic. But exchange of energy, is a big part of creativity, passion, desire, and sharing our creative voice with the world . . . and the primary we honor energy exchange is through money. So, let me ask you, has as money ever felt elusive for you? Is there a money story, belief, or fear that surfaces each time you prepare to take a step forward on your life path? If there is, know that you are not alone! Each time I prepare to push my edges and expand my energy in areas of growth, a bit of my money story comes up to be acknowledged, honored, and evolved. It is an opportunity for me to shift my perspective. For me, being able to spot nearly 30 eagles in one day was about two things . . . the eagles needed to show up and I needed to know what to look for. Our energy needed to come into harmony. I needed to know where they hang out. And I needed to know where I can actually get onto a trail in those areas. The same is true with money. We need to do a little perspective change, and perhaps a little healing. When we do, we have the freedom to experience money differently. In this week’s episode of Rooted Life Radio I dive into this taboo topic and share 5 tips for shifting your relationship with money. 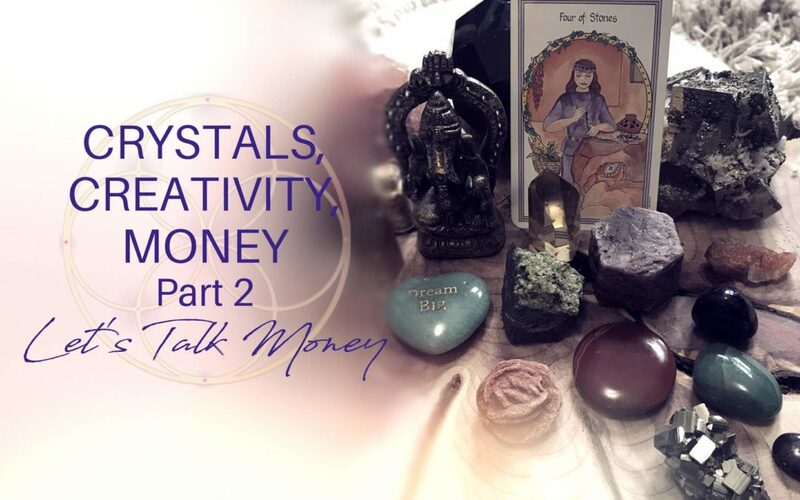 And, I’ve even created a bonus episode that features the messages and an activation from my 5 go-to crystals for money. Listen to both of those episodes now. I would Love to hear about some of your favorite crystals for money. Share them in the comments below! Calling Crystal Creatives . . .
Are you ready to amplify the energy of your sacred creations by bringing shamanic practices into your creative process? Join me for the 6-month Journey Jewels Guide Certification Program. 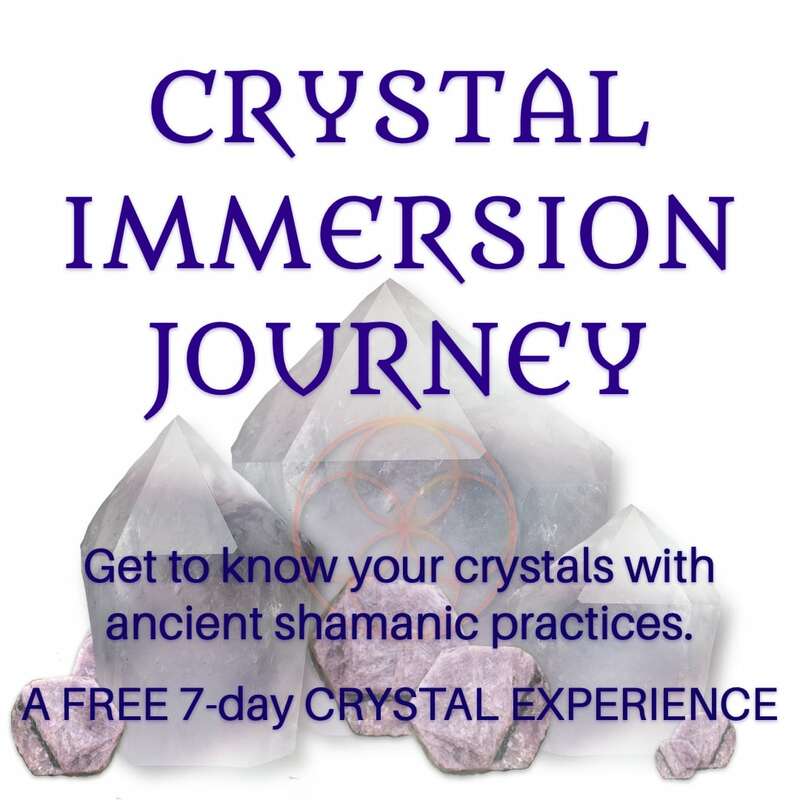 During this program you will discover how to work with shamanic journeying, to channel crystal messages, create transformational ceremonies, and create sacred medicine objects that reflect your unique creative voice. Program begins Friday, March 16th. What a great podcast about a topic that we often shy away from, feeling that money is not very spiritual. But I love how you explain that it is very spiritual, and a wonderful energy tool we have here to use for our comfort and joy. Money is not the “root of all evil” as we have been told for far too long. And you are so right, when we shift that perspective about money from fear to loving acceptance well then there it is! I’ve seen it happen in my life and quite often happens in very magical ways, lots of fun! Thanks again for helping all of us on our sacred journeys.